Is your roof leaking and causing you significant amounts of discomfort? Anyone currently on the market for high quality roof leak repairs Christchurch will be able to benefit from the comprehensive services of ProRoofing. Our highly trained staff members will offer a repair service that will leave your roof as good as new. Get in touch with our friendly team of professionals at your earliest convenience on 01202 518 763 – we look forward to hearing from you very soon. No matter what the exact nature of your roofing issue may be, ProRoofing will be able to offer a solution that is carried out quickly at a fantastic price and guaranteed to last for many years to come. Our previous customers would vouch for our services of roof leak repairs in Christchurch. From Christchurch roof leak repairs to comprehensive refurbishments, our team really can do it all. Our aim is to always keep downtime to an absolute minimum while offering an unsurpassed level of workmanship. Booking your roof leak repairs Christchurch service has never been easier – just give the ProRoofing team a call and you will receive a quotation completely free of charge with absolutely no strings attached. The ProRoofing roof leak repairs Christchurch team will never engage in any aggressive sales tactics or hidden fees – what you see is what you get. So you have absolutely nothing to lose by having a member of our customer care team offer you a free quotation today. 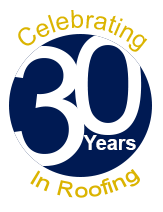 With 30 years in the roofing business, ProRoofing is one of the most experienced companies working in the industry. We are very confident in our abilities which is why all of our work – regardless of whether you are hiring us for roof leak repairs Christchurch, chimney repairs Bournemouth or something else entirely – is backed by a 10-year guarantee. Each and every team member who will be carrying out your roof leak repairs Christchurch is a trained professional with a great passion for what they do. All of our contractors are CRB-checked experts who will offer a courteous service at all times. Please take some time to look around the rest of our easily navigable website to find out even more about ProRoofing as a company, our heritage and how exactly we have become the established number one choice for anyone looking for a Christchurch roof leak repairs service. 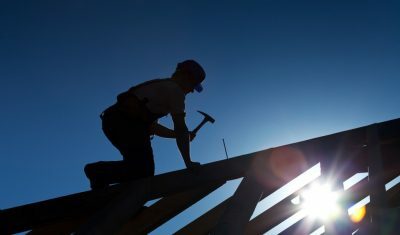 Are you now convinced beyond a shadow of a doubt that ProRoofing is the number one team to call for any service requiring effective roof leak repairs Christchurch? If that’s the case, then there are several fast ways that you can contact us to book. You are more than welcome to either call us anytime on 01202 518 763, send your enquiry over in an e-mail to office@pro-roofing.co.uk or fill out our simple online form. Whichever way you get in touch, we will always respond in a timely manner.